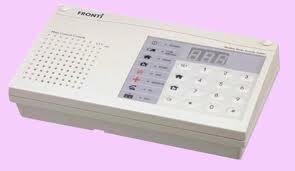 Some days ago I tried to find the manual for the Fronti FS-250 home alarm security console but I didn’t find it on the Internet. Then I tried to contact the swedish reseller of Fronti home alarms but they did not have it because the model was outdated. Finally I contacted the manufacturer Fronti and they sent me the manual the following day. Download the Fronti FS-250 Manual. I had the same problem with manual. I got the manual from Denmark. As this require fixed telephone line, I found a GSM wireless terminal (35€) to replace fixed line. Now I have problem with the code ” 40″. I have nothing on channel 4 but that trigger alarm all the time. Any idea? I have not looked at this yet so I don’t know about code 40. Where did you find the wireless GSM terminal? The code ”40” probably means that unit 40 has given a signal for some reason. But its a bit difficult to say straight up without any more information. Regarding GSM terminals, this is something we can offer to you Marcus. I dont mean to make some advertisments at you blogg now Marcus, just wishes to help out. but there was no reason as it was not activated. A light says ”low battery” and since then it continusouly bips (2 sounds) very noisy , very annoying. Now I want to dismantle the alarm, i want to get rid of it. How can I do ? in the manual it is about ”use” but how to dismantle it please ?